Do you have an upcoming Summer picnic, road trip, or vacation coming up that you need healthy snacks for? Let me recommend Funley's Delicious snacks and treats that are healthier than most, natural and VERY DELICIOUS! Everyone needs there chocolate fix every once in a while! 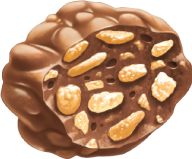 And the perfect snack to feed the craving is STIX IN THE MUD which are all-natural chocolate cookie clusters, and come in 3 variety flavors including Original, Caramel and Peanut Butter. Funley’s products pack a healthy punch with no preservatives, trans fats or high fructose corn syrup, and no artificial anything. The snacks are a good source of Vitamin D, calcium and iron. 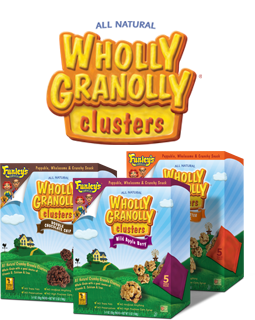 HOLLY GRANOLLY Clusters are all-natural unique new bite-sized, poppable wholesome and crunchy granola clusters with flavors such as Apple Berry, Double Chocolate Chip and Peanut Butter Pretzel. HOLLY GRANOLLY is delicious with yogurt parfait, icecream and milkshakes...or just alone! I like to snack on them straight from the bag or put them in my favorite Greek yogurt! SUPER CRACKERS are made with 100% natural and real ingredients, including nutrition-rich vegetables like broccoli, carrots and sweet potatoes. SUPER CRACKERS come in four indulgent flavors: “Cheddar n’ Stuff,” “Pizza n’ Stuff,” “Ranch n’ Stuff,” and “Cornbread n’ Stuff,” each with superfood veggies hidden in every bite and are a good source of essential vitamins and minerals – but you would never know it! These crackers are a perfect snack and they are only 100 calories per snack bag! I grab for these on the go and they taste great! 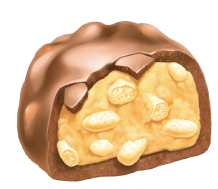 Buy It: You can purchase all Funley's Delicious snacks at your local retail store. 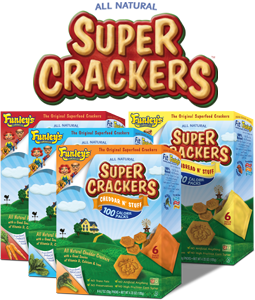 Win It: Funley's Delicious is generously offering (1) prize pack of the four flavors of Super Crackers to a lucky winner!